Lina Frejd at Elle Gala this evening. 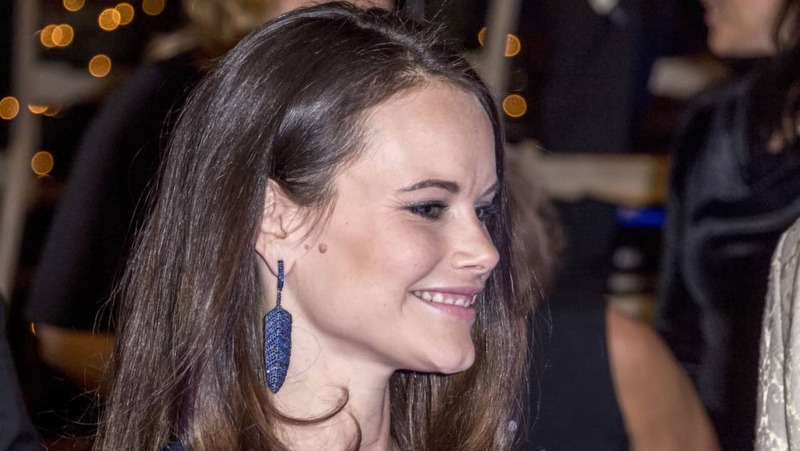 Lina had borrowed to the gala Ebba Brahe earrings (gold and silver and blue sapphires) from Sofia. Sofia's sister Lina and her husband Jonas Frejd are divorcing. Lina didn't want to comment this to Expressen. They got married in August 2015. They don't have children, do they? Very sad news indeed, but they’re both still young enough to start over. That's indeed very sad news. A marriage that didn't even last 2 1/2 years... Didn't Lina attend Gabriel's christening on her own (without Jonas)? Just hope that Lina's fame as sister of a princess didn't put undue burden on their marriage. Lina attended also at Alexander's christening without her husband. Ouch, and that was after only one year of marriage while she was one of the godparents! Lina Hellqvist at the opening of brasserie Glashuset, 18th June. Lina Hellqvist at Noppes Sommarfest at Café Opera, 20th June. Noppes Sommarfest is the traditional summer party count Carl Adam "Noppe" Lewenhaupt held for years, and now his widow continues the tradition. Lina Hellqvist at Barncancergalan - Svenska Humorpriset 2018 at Berns on 1st October. 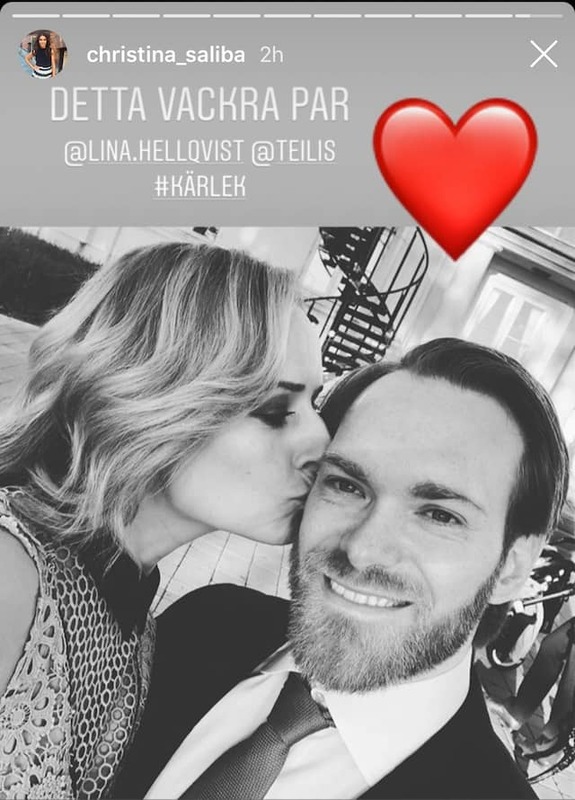 Lina Hellqvist has a new boyfriend. Last winter Lina Hellqvist, who was called Frejd on her last name, divorced from Jonas Frejd, 38. The couple married the summer of 2015 aboard a boat in Stockholm. But after two and a half years of marriage, they chose to go separate ways. From their application for divorce, the couple found that the decision was taken jointly. They had no children together, and the district court could judge for divorce without consideration. In May, Lina took last name Hellqvist vack. Now, nine months after the divorce, it is clear that Lina Hellqvist has found a new love: Marcus Teilman, 35. Marcus Teilman is the CEO and board member of Net Gaming Europe, a company that offers digital comparison services and has about 90 employees. Lina Hellqvist works with the Prince's friend and adviser, Christina Saliba, in the Invest in her and Her group. And it's Christina Saliba who has posted a picture on Instagran about the pair, where Lina Hellqvist is seen giving Marcus Teilman a kiss on the cheek. "This beautiful couple," writes Christina Saliba next to the picture. Expressen has sought Lina Hellqvist who does not wish to comment on the relationship. Lina left Project Playground and went to work at Christina Saliba's PR-agency Mindmakers. In the summer Saliba sold her ownership in Mindmakers and left it. And founded Her Group together with Camilla Läckberg. And now Lina has followed Christina Saliba and went to work at Her Group. Here we see Lina with Camilla Läckberg at Formex Fair some time ago. In January it was announced that Lina Frejd would divorce from her husband Jonas Frejd. And in October the press told that Lina Hellqvist has a new boyfriend, Marcus Teilman. Lina and Marcus attended on 29th November at the premiere of magician and comic Stefan Odelberg's "En Talk Talk Show" at Hamburger Börs in Stockholm. Lina Hellqvist at Elle Gala this evening with Sofia's friend William Värnild. Lina Hellqvist with Christina Saliba at the premiere of singer Sanna Nielsen's show "Mitt Sanna Jag" at Hamburger Börs in Stockholm on 25th January. Lina Hellqvist attended with Christina Saliba and Camilla Läckberg at Veckans Affärer's "Näringslivets mäktigaste kvinna" awards (The most powerful woman of the industry) on 7th March. Lina Hellqvist attended at the delivery of Bonnierförlagen's literature prizes Årets Selma and Årets Selma Junior at Södra Teatern on 8th March. Lina Hellqvist at the release party of Camilla Läckberg's new book "En bur av guld" at Nio Rum, 9th April. Photographed with Emanuel Rohden.